A sunny summer day on a small lake or pond just cries out for a small boat. 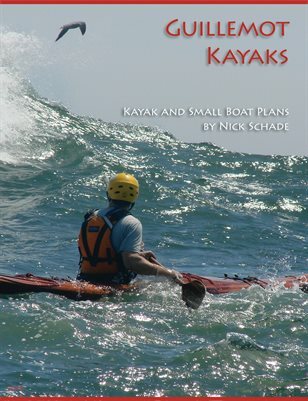 A recreational kayak can be just the thing. Intended to be small and easy to handle, not requiring much skill, comfortable and stable, recreational kayaks provide the ideal craft for poking around, watching wildlife, or just floating care-free on a mirror smooth pond. Recreational kayaks tend to be short because a short waterline helps make the boat more maneuverable which is nice for poking into little coves and streams. Short boat are also easier to transport - they may even fit on the back of a pickup truck - and can be made lighter weight than longer kayaks. These boats tend to be relatively wide. This is in part due to the fact that since they are short, they need extra width to give them buoyancy. However, wider boat tend to be more stable, and the added width helps give more room for comfortable seating. The trade-off with a short, wide boat is they are not generally as "sea-worthy" as longer narrower boats. If you get caught out in rough conditions you may find a recreational kayak hard to handle and get back to shore safely. They generally are not equipped with the safety features of other kayaks.